3 bedroom and 2 bath house is a split design with generous common area that includes a kitchen open to den and dining area. The vaulted ceilings in the common areas make the space feel so large and comfortable.Single car garage. located on a 1/3 acre lot in Pace conveniently located behind the Target / Publix shopping center. The home has a brick front and 3 sides are vinyl siding. This home is in an area of well kept and higher valued homes including areas of new construction nearby. 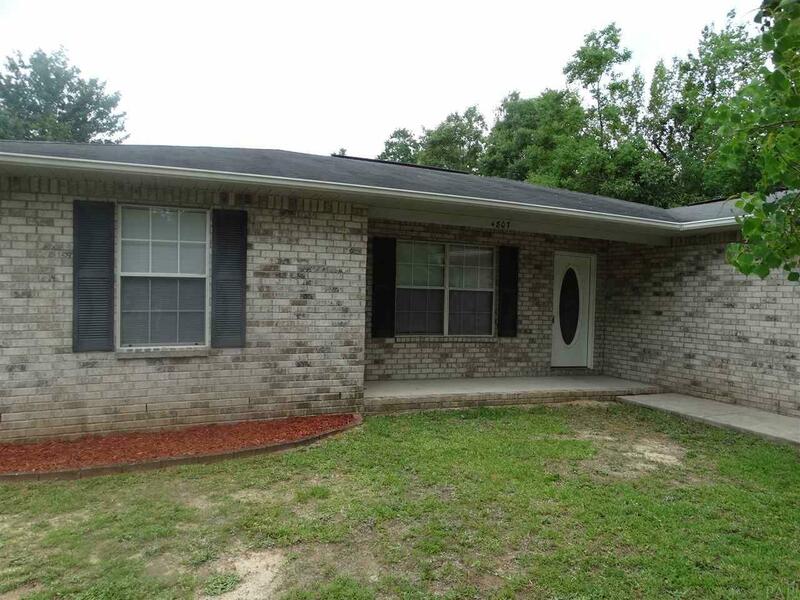 This home currently rents for $1150.00 with lease expiring at the end of July.